New York State is home to some of the highest rated haunted attractions in America. When the leaves start to fall and the air turns crisp, the chill starts at haunted houses, hayrides and attractions all across the state. 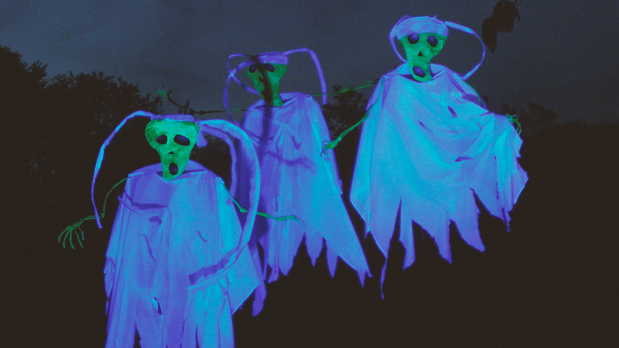 Always appearing on national top ten lists, the Headless Horseman Hayrides and Haunted Houses in Ulster Park uses a sixty-five acre farm and 350 actors and staff to scare the heads off guests with a one-mile hayride, corn maze and seven other haunted attractions. 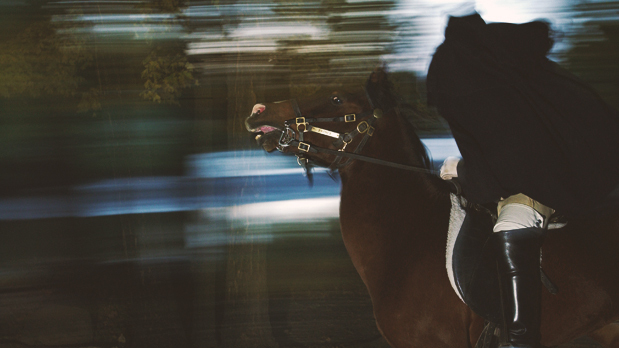 The infamous Headless Horseman himself is always looking for a new way to get a-head (ha ha ha). Five gift shops and four cafes help you top off your visit. Reservations are strongly recommended, as popular nights frequently sell out. The terror continues in the Hudson Valley at Pure Terror Scream Park in Monroe. There are 11 all new haunts – over two miles! - featuring monsters designed exclusively for the park by a Hollywood special effects team. Visit them in attractions like the Necroplois Cemetery of Evil, The Walking Undead and The Butcher’s Revenge. 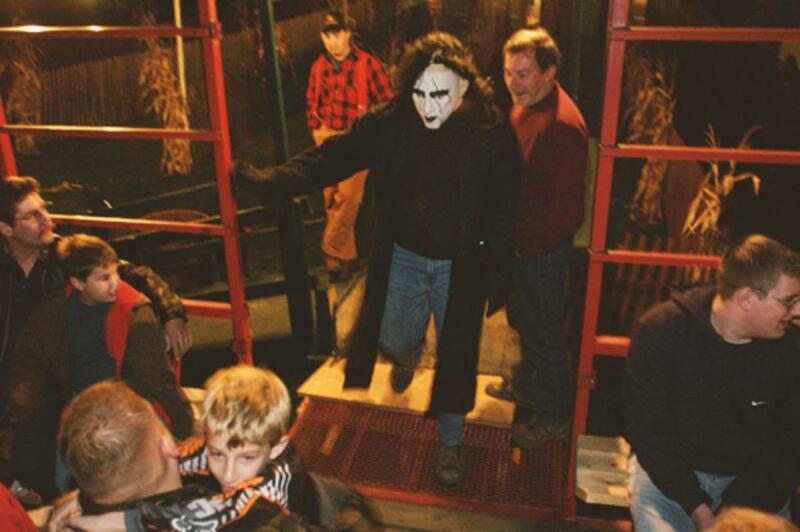 Almost every community has its own opportunity for scares, from the Double M Haunted Hayrides and Field of Horrors in the Capital-Saratoga Region, to Dr. Morbid’s Haunted House and Frankenstein Wax Museum in the Adirondack town of Lake George, to Central New York’s #1 haunted attraction Frightmare Farms, to the House of Horrors and Haunted Catacombs in Buffalo. Horror isn’t purely an upstate affair – New York City hosts Blood Manor, with 5,000 square feet of themed rooms, corridors and passageways designed to maximize fear. Bayville Scream Park on Long Island has five thrilling attractions in its creepy collection, including Curse of the Zombie Pirates and Uncle Needle’s Funhouse of Fear. Make believe doesn’t do it for you? Maybe you need a date with a real ghost at Rolling Hills Asylum in the Greater Niagara town of East Bethany. This is not a theatrical attraction – it is an actual historical asylum and one of the most haunted locations in the world, featured on shows like The Travel Channel’s Ghost Adventures. There are tours ranging from two to eight hours, Horror Movie Nights and even overnight visits. The asylum is just one attraction on New York’s Haunted History Trail, highlighting scores of creepy locations, ghost hunts, guided tours, haunted inns and more all across New York State that cater to investigative teams and feature ghostly events for the paranormal-curious. The chills await all across New York State. Grab a friend (tightly!) and make a visit to the ghouls and villains before the season ends. They’re just dying to meet you.